Dr. Aryeh Bachrach, a leader of the Almagor terror victims’ organization who himself lost a son in a terrorist attack, said that Israel could use the flight ban to Israel by American and European airlines to its advantage. Speaking to Arutz Sheva, Bachrach said that if the opportunity were to arise again, with US and EU authorities telling airlines not to fly to Israel because of the danger of Hamas rocket attacks, Israel should, instead of seeking ways to convince the officials that there was no danger in flying to Israel, adopt their point of view. “When the announcement of the flight ban was made, Israel went out of its way to beg American and European authorities to rescind it, and when former New York City Mayor Michael Bloomberg came to Israel to ‘prove’ how safe it is, the government was overjoyed,” said Bachrach. Instead, said Bachrach, the government should have declared that the EU and US were correct. “’They are right, it is dangerous,’ is what the government here should have said,” said Bachrach. Shortly before the Israel-Hamas fighting began in Gaza earlier this month, two separate killings ratcheted up tensions. First, three Israeli teenagers were killed, allegedly by Hamas in the West Bank. Israel has arrested many Palestinians, but says it is still searching for the main suspects in the deaths of Naftali Frenkel, 16, Gilad Shaar, 16, and Eyal Yifrach, 19. Shortly after the Israeli deaths, a 16-year-old Palestinian, Mohammed Abu Khdeir, was abducted and killed. In a courtroom last week, an Israeli prosecutor charged three Jewish Israelis with abducting Abu Khdeir, bludgeoning him with a wrench and burning him alive. The day the three Israelis were charged in court, Israel announced it would officially recognize Abu Khdeir as a victim of terrorism. By law, that means his family is eligible for Israeli government compensation. There are still apparent inconsistencies. For example, Israel has ordered of the Palestinians who are suspected of killing the Israeli teens, a punishment it has carried out in many cases over the years. But Israel has not done so with the Israelis accused of murdering Abu Khdeir. The compensation law, though, has changed. For decades, the law only applied to people attacked by armies or organizations hostile to Israel. Then, in 2005, an Israeli killed four Arab citizens of Israel. It wasn’t the first time Arabs died in an Israeli attack, but the law was broadened to compensate them, and it also now makes Mohammed Abu Khdeir’s family eligible. This doesn’t sit well with Meir Indor of Almagor, an Israeli organization for Israelis who were injured or whose relatives were killed in terror attacks. If the state grants compensation, it implies Israel as a whole is to blame, he said. He said Israelis in his group have threatened to boycott any memorial services for victims of terror if Abu Khdeir’s name is included on the list of those honored. Another victims’ organization does not make that distinction. The Bereaved Families Forum is a group of Israelis and Palestinians whose relatives were killed in the Arab-Israeli conflict. Every night since the Israeli offensive on Gaza began, Israelis in the group have set up a circle of chairs and a microphone to talk in downtown Tel Aviv. Dana Wegman, whose father was killed in a Palestinian bombing, agrees with the Israeli government’s labeling of Abu Khdeir’s killing as terrorism. But she holds little hope that Israeli recognition will encourage empathy between victims on both sides. “Right now everything is so on fire that we need a lot more than that,” she said. While some see Israelis and Palestinians as victims of the same conflict, for others, it’s still a matter of us versus them. Name made public of Yosef Chaim Ben-David, after court rejects plea to not publicize identity. Yosef Chaim Ben-David, 29, from the Adam settlement, was named as the supposed principal murderer of Muhammad Abu Khdeir, the 16-year-old Palestinian from the east Jerusalem neighborhood of Shuafat. His name was made public on Sunday night after a final appeal by Ben-David to the Supreme Court failed, when Justice Elyakim Rubinstein rejected his argument that publicizing his name would lead to his family coming under threat. Ben-David, along with two other Jewish minors, was indicted in the Jerusalem District Court by the Jerusalem district-attorney, for the alleged nationalist revenge murder. Following the indictment, the Defense Ministry recognized Abu Khdeir as a victim of hate crime, granting his family identical compensation rights to victims of Arab terrorism, such as casualties of suicide bombings (assuming its decision is adopted by the National Insurance Institute). The names of the minor defendants, a 16-year-old from Jerusalem and another from Beit Shemesh, are to remain under a gag order, but by last Thursday the Jerusalem District Court had ordered the gag order removed regarding Ben-David. However, the District Court froze its own decision when Ben-David appealed, setting the stage for Sunday’s showdown at the Supreme Court. The three suspects were charged with murder and kidnapping as well as a slew of other crimes. Attorney-General Yehuda Weinstein called the murder a “horrifying act,” but praised law enforcement for the swiftness with which they arrested the three defendants. Abu Khdeir was abducted and brutally murdered by being burned alive on July 2, while waiting to enter a mosque in east Jerusalem. He was targeted because he was an Arab. Rubinstein accepted the state’s argument that neither the police nor Shin Bet (Israel Security Agency) found that Ben-David’s family was in any danger. In addition, he accepted State Prosecutor Uri Korb’s argument that an alleged incident of the family being attacked with a fire bomb was fictional and that there was no evidence. Rubinstein rejected the argument that revealing Ben-David’s identity could expose the two minors’ identities—essentially saying that some amount of suffering may be unavoidable for families and codefendants of murder defendants. The indictment included charges against Ben-David and one of the minors for their attempt to kidnap 7½-year-old Musa Zaloom of Beit Hanina and striking him and his mother with whom he was walking while she pushed another of her children in a stroller. The indictment has separate charges for multiple attempts by the same two to burn Arab cars in Sur Bahir. According to the indictment, all three wore non-Haredi clothes to try to mask their identities during the attempts to kidnap Arabs. Ben-David drove the car, while the minor got out to attack the 7½-year-old, the indictment said. It alleged that in the case of Abu Khdeir, Ben-David again drove the car, while both minors attacked and threw Abu Khdeir into the vehicle. The Arab youth tried to call his uncle, attempted to escape and even kicked one of the defendants in the face before they overpowered him. The indictment said that Abu Khdeir was partially- strangled and struck on the head by the defendants multiple times as Ben-David called out the names of murdered Jews, such as Shalhevet Pass, the Fogel family, Gil-Ad Shaer, Eyal Yifrah and Naftali Fraenkel. Ben-David told the minors to burn his body to erase the evidence and then they doused him with gasoline, burning him alive. Responding to the Defense Ministry’s recognition of Abu Khdeir as a terrorism victim, Almagor Terror Victims Association director Lt.-Col. (ret.) Meir Indor said his organization would fight the decision, even if it means lobbying to have a law changed in the Knesset. On July 14, Honenu, a rightwing group representing one of the suspects, said the oldest of the three suspects who had confessed to the murder of the Palestinian teenager may attempt to plead temporary insanity. Both Ben-David and one of the minors take psychiatric drugs for obsessive compulsive disorder, said the indictment. Ben-David had been working at a optometrist store in Jerusalem, while the two minors were either both studying in a yeshiva or about to return to their studies. Following the earlier partial lifting of a gag order on the case, the Shin Bet released a report saying the three suspects had admitted to kidnapping Abu Khdeir, beating him and burning him alive. The report said the three defendants had confessed that the homicide had been an act of revenge following the slaying of the three teenagers in June. Police found the teenager’s badly burned remains at 5:20 a.m., approximately one hour after he was reported kidnapped. Subsequent news coverage of the slaying led to Arab riots throughout east Jerusalem and the rest of the country. The Defense Ministry recognized slain east Jerusalem teenager, Muhammad Abu Khdeir, as a victim of hostile action, following an indictment served against suspects in his murder on Thursday. The decision means that Abu Khdeir’s family will get benefits from the state of Israel and he should be on the list of names on Israel’s Memorial Day for victims of terror attacks, from now on. Almagor Terror Victims Association director Lt.-Col. (ret.) Meir Indor said his organization will fight the decision, even if it means lobbying to have a law changed in the Knesset. According to Indor, the law to pay benefits to victims of terror was meant to support “those who were injured or the families of those killed by organizations that are enemies of the State of Israel. 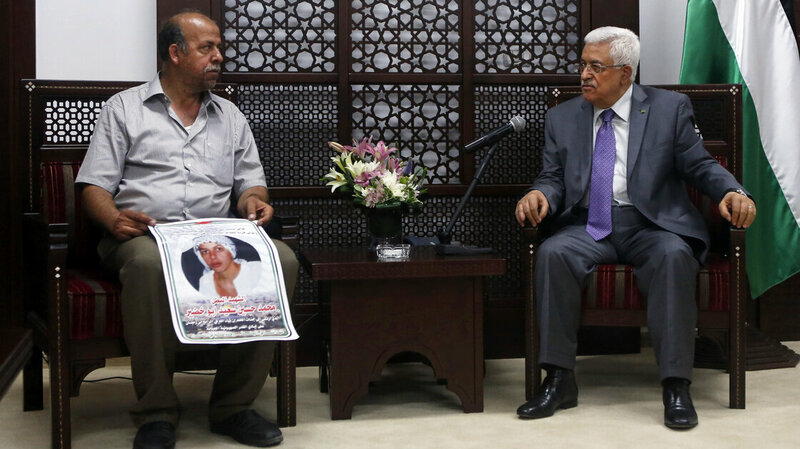 “His killers should be put behind bars, but there is no connection between [Abu Khdeir’s murder] and victims killed on the altar of the State of Israel’s establishment,” he said. “There are Arab victims too, I don’t have a problem with that, but [Abu Khdeir] was killed by a group of criminals. This was a criminal murder. “Will [Abu Khdeir’s] name be on Mount Herzl? Are they stupid?” he asked. However, Indor called the Palestinians’ culture, in which terrorist organizations become political entities like Hamas and Fatah, “a totally different planet” than a small group of Israelis who murdered the teenage boy. “In Israel, terrorism isn’t a hate crime, it’s organized by a political force, by our enemy that wants to destroy Israel,” Indor emphasized. The state indicted the three suspects apprehended in the investigation of the murder of Abu Khdeir, the 16-year-old Palestinian from the east Jerusalem village of Shuafat. The names of the defendants remain under a gag order. They are a man, 29, from the settlement of Adam, and two teenagers, a 16-year-old from Jerusalem and another from Beit Shemesh. Nadal Amar sentenced by military court to life plus 20 years for abduction and murder of off-duty soldier he worked with. 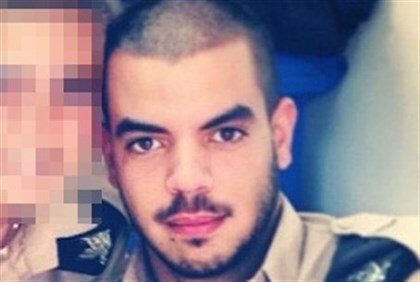 Nadal Amar, the terrorist who murdered IDF First Sergeant Tomer Hazan HYD last September, was given a life sentence this week by a military court, after being found guilty in May of murder charges, in addition to a 20-year sentence for other offenses. The IDF Spokesperson Unit reported Wednesday that a military court in Samaria handed down the ruling. The terrorist illegally entered Israel and worked at a restaurant in Bat Yam, next to Tel Aviv, where he met Hazan and deceived him into driving with him to his village, before strangling him to death in an open field and hiding his body in a water hole. Nadal originally abducted Hazan with the intention to use him to barter the release of his brother Nour Al-din, a Fatah terrorist currently serving a 29-year sentence. Nour Al-din similarly plead guilty and was convicted of being an accomplice in the kidnapping and murder, which he helped plan. The cases of Nadal’s two brothers who helped him plan and conduct the murder will soon be heard at a military court in Samaria as well. During the proceedings, the abduction and murder of Eyal Yifrah (19), Naftali Frenkel (16) and Gilad Sha’ar (16) by Hamas terrorists occurred on June 12, and with it widespread celebration among the local Arab populations. The background added to the decision to give a strict ruling to deter future abductions and murders. As noted the life sentence comes in response to the murder charges; the 20-year additional sentence corresponds to charges of kidnapping, being in Israel illegally and disrupting court proceedings. Last month a new “Life Without Parole” Bill passed preliminary Knesset readings, with the aim of preventing the release of jailed terrorists, whether through peace talk “gestures” or trades to free Israeli hostages. However Meir Indor, head of the Almagor terror victims organization, noted the bill has several flaws which he argued render it ineffective. A prime problem he noted was that the bill did not cover terrorists sentenced in a military court, such as Nadal Amar.